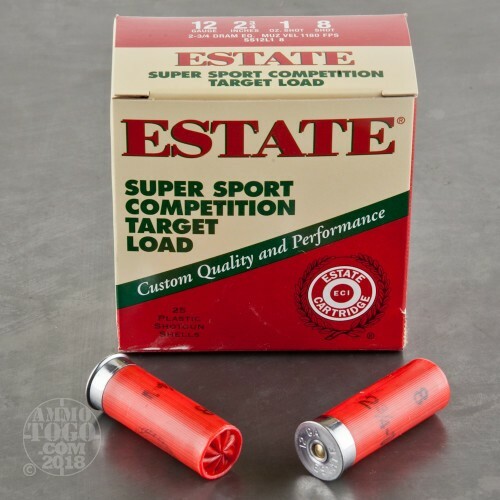 This dependable, light-kicking 12 gauge target load from Estate excels at target and match shooting. 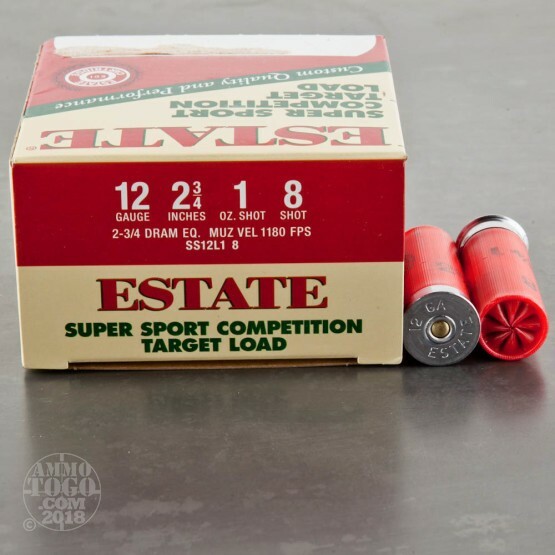 Each 2-3/4" shell in this box of 25 fires a one ounce column of #8 birdshot, delivering good patterning and reliable clay-breaking power. 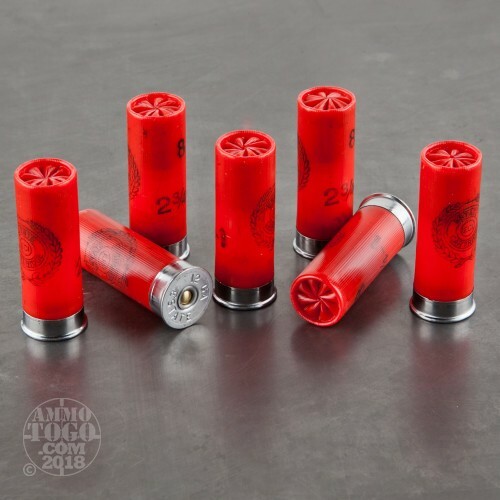 With a muzzle velocity of 1,180 feet per second, these shells produce relatively mild felt recoil. 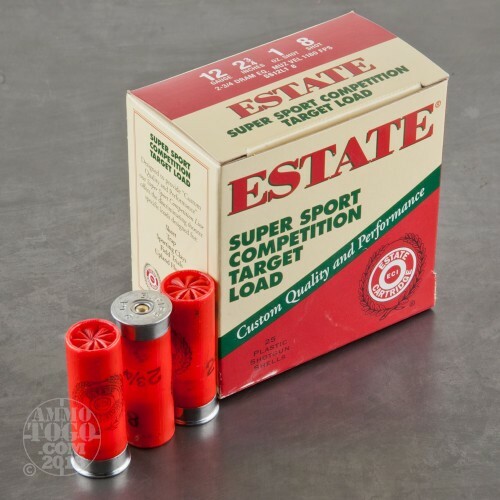 This ammunition is made in the USA by Federal, a division of the Vista Outdoor group.